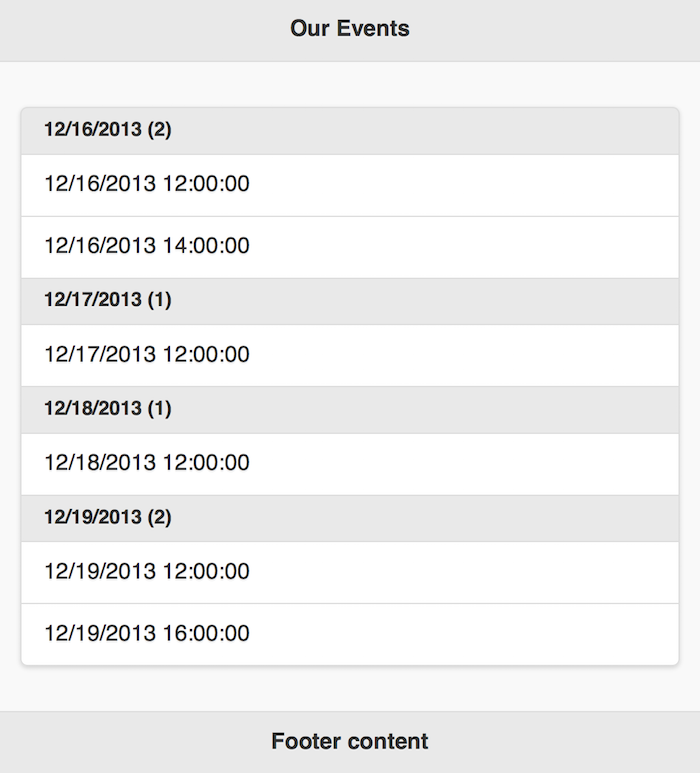 Almost a year ago I blogged about using the autodivider feature in jQuery Mobile. 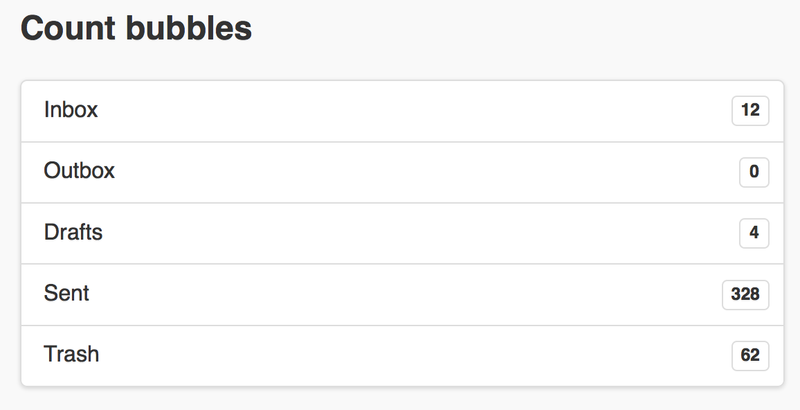 This is a simple feature that enhances list views with dividers. It makes content a bit easier to parse when working with a large list. The first change was to abstract out the code used to generate the divider - basically turning the date value into a label. Once I have that, I iterate over my data to figure out how many unique date labels I have. This is done with a simple object and a counter. Finally, my autodividersSelector function is modified to make use of this count. Here is the result. There you go. Not exactly rocket science, but hopefully helpful. It is possible to create dividers with list bubbles, just not quite as simply as this entry demonstrates. I'll show that tomorrow.